Guest post by investigative historian Eric Zuesse, author – most recently – of They’re Not Even Close: The Democratic vs. Republican Economic Records, 1910-2010, and of CHRIST’S VENTRILOQUISTS: The Event that Created Christianity. I am a proud Democrat, and part of the commitment that makes me such is my belief that any President who blatantly violates his Oath of Office would be committing an extremely grave crime, which deserves to be prosecuted as such. In other words: I believe in equality before the Law. The Presidential Oath of Office, as given in the U.S. Constitution, is: “I do solemnly swear (or affirm) that I will faithfully execute the Office of President of the United States, and will, to the best of my ability, preserve, protect and defend the Constitution of the United States.” I shall here charge that President Obama violates his Oath of Office by systematically appointing, and supporting, appointees who carry out a rabidly discriminatory system of “justice,” which holds some people to be above the Law; that is, above the U.S. Constitution, and free from its legal requirements. This is an incredibly ironic accusation to bring against the first black President, but here it is (after all, Obama’s being black doesn’t free him of any guilt for a crime that he is committing), my charge against Obama: I charge him with systematically violating the Equal Protection Clause of the U.S. Constitution. The remainder of the case is presented by former federal regulator, and federal prosecutor, William K. Black – a Democrat like myself – headlining on December 17th, “The Second Great Betrayal: Obama and Cameron Decide that Banks Are Above the Law.” That case will now be summarized here. Most of Black’s article is devoted to exposing the fraudulence of the argument made by Obama’s “Justice” Department saying that because the mega-banks are “too big to fail,” no criminal prosecutions should be brought against any of the top executives who oversaw mega-bank crimes and who walked off with hundreds of millions of dollars or even billions in executive bonuses and other emoluments from them. Basically, Black documents that Obama’s “Justice” Department’s reasons are bull – but you should see Black’s case there for yourself. Here will be discussed instead the gravity of the crimes that Obama essentially blocks from prosecution. “1. 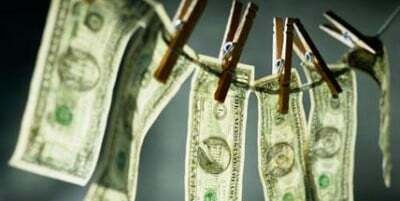 Laundered billions of dollars for some of the most murderous drug gangs in the world. These gangs have murdered many thousands of Mexicans and devastated much of the nation. “2. Aided Iranian entities to evade U.S. financial sanctions on Iran. If Iran is actually developing a nuclear weapon [as the Obama Administration charges], and if it uses such a weapon to attack, it will kill tens of thousands of people, and HSBC and Standard Chartered will likely have proven useful to Iran in developing the weapon. For example, “Contrast that … [record with] the NYT article about the HSBC with the title of the article: ‘HSBC Became Bank to Drug Cartels, Pays Big for Lapses.’ ‘Lapses’ – seriously? HSBC violates the law for 15 years to make money by illegally aiding the worst and most dangerous entities in the world escape vital financial safeguards and it gets trivialized as ‘lapses.’” Of course, Fox “News” is less subtle, more blatant in its protection of banksters, much like Republicans in Congress are, as compared to Democrats in Congress. What would happen if congressional Democrats brought charges against this President for his protection of mega-bank executives in violation of his Oath of Office and of his most basic obligations as this nation’s Chief Executive? Would congressional Republicans go along with it? Probably not, because the Republican Party is even more rigidly controlled by elite criminals than is the Democratic Party. So, the matter might simply die in the House. But at least doing that would make clear to the public what the true agenda is and has long been for the Republican Party apparatus as a whole: It’s a gangland organization, and that’s why they block essential reforms of campaign finance. Furthermore, Barack Obama, by his rabid violation of his Oath of Office, and his enormous violation of basic Democratic Party principles of justice, and of absolute equality before the Law, is a historic embarrassment to the Democratic Party. Obama is the worst U.S. President in history as regards equal application of the Law. He is worse even than the previous worst, which was George W. Bush. On 15 November 2011, Syracuse University’s famous “TRAC Reports” headlined “Criminal Prosecutions for Financial Institution Fraud Continue to Fall,” and reported that the plunge that had begun under Bush was continuing under Obama. As one commentator said on 7 July 2012, headlining “Financial Fraud Enforcement Task Force Fakery,” and as is still the case, “There is not a single case related to fraud in the creation, sale or operation of real estate mortgage-backed securities, the frauds that led to the Great Crash.” Not a one. When the mainstream media cover this at all, they accuse Timothy Geithner or other Obama appointees, not the President who appointed them and whose polices they carry out. For example, on 14 April 2011, Gretchen Morgenson and Louise Story headlined in The New York Times, “In Financial Crisis, No Prosecutions of Top Figures,” and they made clear that top officials in the George W. Bush Administration had squelched efforts by FBI Director Robert Mueller and other subordinates who had wished to investigate top executives at financial firms for possible prosecutions. (Evidently, Obama continued that Bush policy.) For example, Bush’s Attorney General Michael Mukasey joined with Scott G. Alvarez of the Federal Reserve to block all efforts at investigations and prosecutions. In addition, the successor to Eliot Spitzer as N.Y. Attorney General was Spitzer’s fellow Democrat Andrew Cuomo, who joined with Timothy Geithner of the New York Fed, to block any serious efforts at prosecution of higher-ups. This article, in the NYT, focused especially upon the active efforts by the GWB Administration to block such prosecutions, but virtually ignored the continuing complicity by the Obama Administration (about which Yves Smith at her nakedcapitalism.com headlined the same day, “Regulators Issue Weak Consent Orders to Whitewash Mortgage Abuses”). Yet even George W. Bush was not a subject in this news report – it’s as if he hadn’t been the head of his own Administration. The basic conservative principle, that blame goes only downward, while praise goes only upward, was thus being adhered to, even in this otherwise worthy news report. If our nation’s honor is to be restored on this crucial matter, the initiative will have to come from leading Democrats, because the Republicans and the major media are too heavily implicated themselves in, basically, covering up for America’s aristocracy. It’s not the kind of country that our Founders intended; this has not been progress, it has been regress, back to what our Founders, and their Revolution, overthrew.